Just what was Anne Brontë’s childhood like? We have the image of it being a bleak time filled with tragedy, but was this a fair reflection? There were, of course, terrible moments during her childhood, but at other times Anne was as happy and contented an infant as any that we would recognise today. Anne Brontë was born in the village of Thornton near Bradford on January 17th 1820, the sixth and final child of Patrick and Maria Brontë. 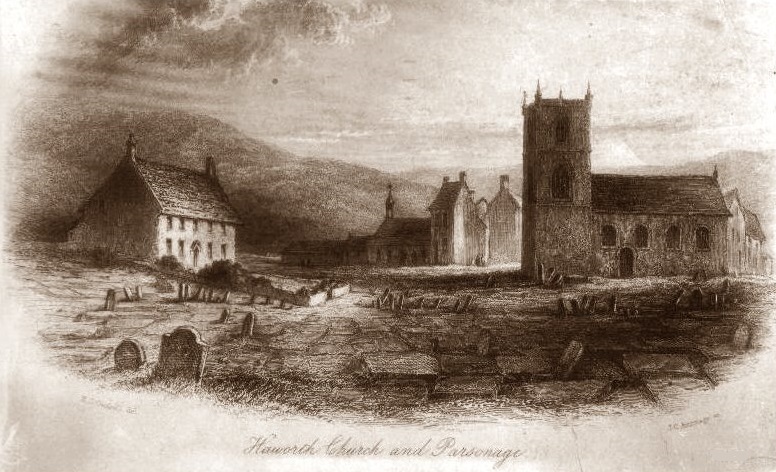 Within three months of her birth there was upheaval, as the Brontë family moved from Thornton to their new home at Haworth, with Patrick taking up his new position as the curate of St. Michael and All Angels church – one he would hold for the next 41 years. She couldn’t have known, of course, but this was an auspicious move for the baby Anne, as her new parsonage was larger and surrounded on three sides by the moors that she found a fascinating wilderness all year round. All the children recovered, but their mother died after a terrible stuggle on 15th September 1821. 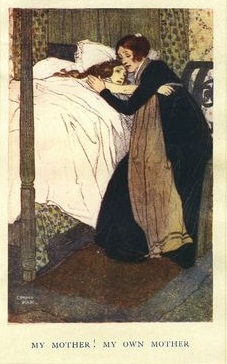 Anne was just a year and a half old at the time, and this protected her from the grief and sorrow around her. She would never know her mother, except from the stories told by her family, but another woman took her place in the form of her mother’s sister Elizabeth Branwell who gave up her life in Cornwall to spend the rest of her days in Haworth. Aunt Branwell and Anne were very close and shared a room together throughout her childhood. A loving bond grew between them, so that her aunt became a mother to her in every way. It is something Ellen Nussey noticed when she said of Anne that ‘she was her aunt’s favourite’, and we also see a reflection of it in Charlotte Brontë’s ‘Shirley’. It seems that Anne was a quiet almost angelic child, and maybe this was behind the fantastical tale that a young Charlotte related to her father one day. She burst into Patrick’s study and urged him to come quick, because there was an angel standing next to Anne’s cot. Patrick humoured his daughter and followed her, but Charlotte admonished him that he’d been too slow and now the angel was gone. We know that Anne enjoyed her childhood toys just as much as children do today, for on 5th June 1826, her father fetched his five year old daughter a special present from Leeds – a dancing doll with pins through its joints so you could make the arms and legs move. It was another present that Patrick fetched back from this trip that is better known however, the set of twelve wooden soldiers for Branwell that led to the Brontës creating childhood tales, and then imaginary lands, and eventually the novels that we love so much today. Anne Brontë had a happy childhood, with a loving aunt as mother, a supply of toys, and above all a close twin-like friendship with her sister Emily that would become the defining relationship in her life. 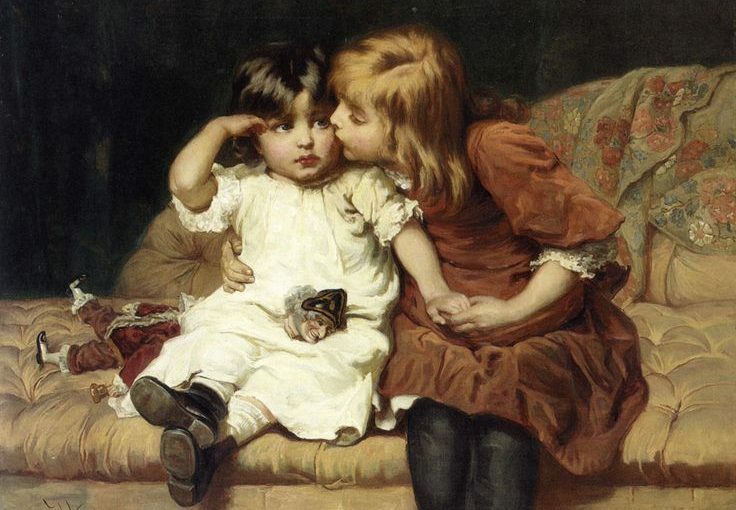 The two youngest Brontës were never seen apart in their childhood, arms entwined within each others whenever possible. It is heart warming to think that Anne enjoyed such happy days as a child, for of course later years would prove much more trying. Thanks Mel! Anne did share a bed with her Aunt and both of them were pious, but I don’t think Aunt Branwell’s views were as strict as some people think – she believed in a loving God rather than the hardline views of Calvinist preachers.